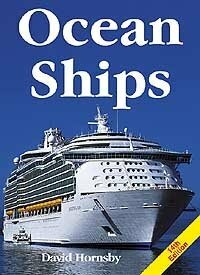 [PDF] Ocean Ships - 2006 Edition - 14th Edition | Free eBooks Download - EBOOKEE! Description: This new edition has been fully revised and reflects the continuing boom in the international cruise business with many vessels either delivered or on order by many of the world's major cruise lines. The book is organised with the vessels listed according to the shipping line that owns them. The entry for each ship provides information on the ship's flag of registration, its weight, year of construction, and much more. No comments for "[PDF] Ocean Ships - 2006 Edition - 14th Edition".